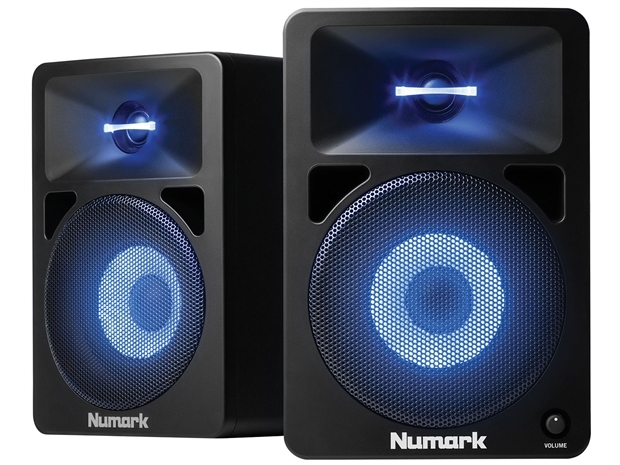 Numark N-Wave 580L are the perfect addition for the bedroom DJ, providing both big sound and interactive light show. Front panel volume control for easy operation. Woofer and tweeter with syncronised multi-colour illumination. 3-stage colour command: pulsate, slow cycle and off. 5.25" LF driver for big, tight bass. 1" silk dome tweeter for smooth, clear highs. High density wood cabinets with bass ports.